This configuration got an A+ rating from Qualys SSL labs. 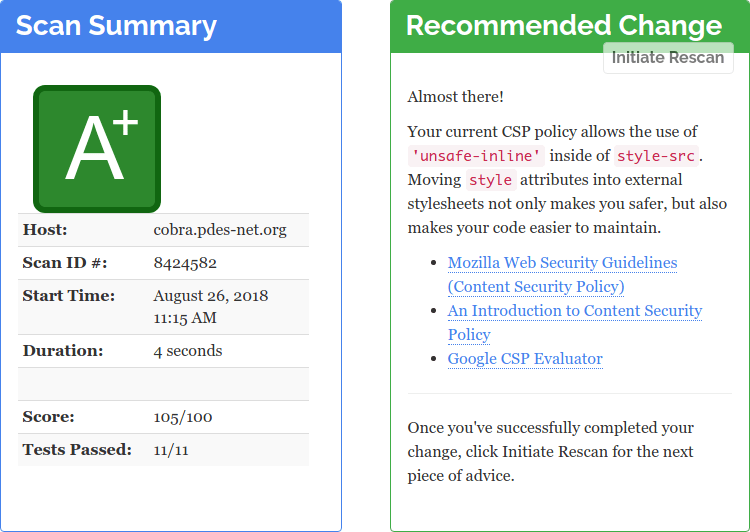 The CSP proved to be tricky since Chromium did not display images in SVG format with stricter settings. A post of April King finally provided the missing piece of the puzzle.